A dating app published by Paradox could be the first hint at a new Vampire: The Masquerades – Bloodlines project. A new ‘dating app’, Tender, has appeared over the weekend, and there’s plenty of clues pointing towards the cult vampire game. Digging deeper, RPS found evidence of work from Canadian developer Alice & Smith, who specialise in ARGs, and a very creepy video which leans into some occult themes more than anything that’s pretending to be a Tinder knock-off should. I wouldn’t say that any of that is concrete evidence of a new Vampire: The Masquerade project by itself, but when you consider it all alongside information about the owner of the IP, those clues come together to point in the direction of a new game. 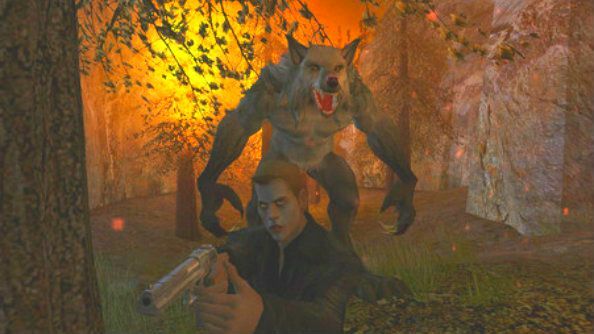 Traditionally known as a strategy publisher, back in November, Paradox bought Vampire: The Masquerade – Bloodlines publisher White Wolf from Eve Online developer CCP in 2015. In November, Paradox announced that White Wolf would “no longer function as a separate entity,” integrating the company directly into the Paradox team. Related: Will we get a Vampire: The Masquerade – Bloodlines 2? The ARG is, of course, still in its early stages, but more information is likely to come to light over the next couple of days. Paradox has previously said that a new vampire game would be “an obvious choice,” but as for when we might actually hear about it, that’s still anybody’s guess.